Juanita is a mental health nurse who joined City University London as a senior lecturer in December 2016. She previously worked as a clinical lecturer in dementia and nursing at UCL and is an experienced clinical trials manager in dementia studies. Clinically, her nursing career has focused on older person’s mental health care and she has worked within inpatient, day hospital, community and acute hospital settings. Juanita also has strong links with the charity Dementia UK and has worked as an Admiral Nurse (dementia nurse specialist) since 2004, supporting people with dementia and their families. Juanita completed her Ph.D in Mental Health Sciences at UCL in 2007. Her current research interests focus on the development of psychosocial interventions to promote good practice and improve quality of life for people with dementia and their family caregivers. She is also involved in the teaching and supervision of pre and post graduate students. Juanita started working at UCL in 2002 and is an experienced clinical trials manager in dementia studies. Her research experience builds upon her clinical experience and has focused on studies that promote improved care and quality of life for people with dementia and their family carers. •	Principal investigator for Stream 4 of the ESRC funded Managing Agitation and Raising QUality of Life (MARQUE) study: A qualitative study of people with dementia and agitation and their family carers living in domestic environments. •	Co-chief investigator for Alzheimer’s society funded Facilitating Early Diagnosis in Dementia (FED-D) study, a cluster RCT to increase timely diagnosis of dementia promoting memory service access. •	Co-chief investigator of an Alzheimer’s Society funded qualitative study developing evidence based materials for GPs to use to increase early diagnosis of dementia. •	Programme coordinator for Support at Home: Interventions to Enhance Life in Dementia (SHIELD), a 5 year, NIHR funded research programme of psychosocial research in cognitive stimulation, reminiscence work, carer and home treatment support. •	Principle investigator in NELFT for Strategies for Relatives (START) study, a pragmatic RCT to determine the clinical and cost-effectiveness of a manual-based coping strategy programme for promoting the mental health of carers of people with dementia. •	Clinical researcher on a single–blind RCT investigating the needs of older people with dementia in care homes using the Camberwell Assessment of Need in the Elderly (CANE). •	Clinical researcher on a longitudinal epidemiological study (LASER-AD) that examined the mental and physical health, cognition, activities of daily living, quality-of-life, medication, resource use and caregiver burden in a cohort of people with Alzheimer’s disease and their caregivers over time. •	Participation in the main reliability and validity study for the Camberwell Assessment of Need in the Elderly. A scale developed to measure the needs of older people with mental illness. Aguirre, E., Spector, A., Streater, A., Hoe, J., Woods, R.T., Woods, B. … Orrell, M. (2011). Making a Difference 2 (Includes Dvd). ISBN 978-1-874790-99-0. Aguirre, E., Spector, A., Hoe, J., Streater, A., Russell, I.T., Woods, R.T. … Orrell, M. (2012). Development of an evidence-based extended programme of maintenance cognitive stimulation therapy (CST) for people with dementia. Dementia: Non-Pharmacological Therapies (pp. 189–208). ISBN 978-1-61470-736-3. Hoe, J., Orrell, M. and Livingston, G. (2010). Quality of Life Measures in Old Age. Principles and Practice of Geriatric Psychiatry: Third Edition (pp. 183–192). ISBN 978-0-470-74723-0. Hoe, J., Orrell, M., Lambert, J. and Prettyman, R. (2004). The Needs of Long-Term Day Hospital Attenders. In Orrell, M. and Hancock, G. (Eds. ), CANE - Camberwell Assessment of Need for the Elderly (pp. 57–66). London: Royal College of Psychiatrists. ISBN 978-1-904671-06-0. Toot, S., Hoe, J., Ledgerd, R., Burnell, K., Devine, M. and Orrell, M. (2011). Causes of crises and appropriate interventions: The views of people with dementia, carers and health care professionals. Ledgerd, R., Hoe, J., Challis, D., Toot, S. and Orrell, M. (2011). What causes a crisis for people with dementia and their carers? Robertson, S., Cooper, C., Hoe, J., Lord, K., Rapaport, P., Marston, L. … Livingston, G. (2019). Comparing proxy rated quality of life of people living with dementia in care homes. Psychological Medicine pp. 1–10. doi:10.1017/s0033291718003987 . Livingston, G., Baio, G., Sommerlad, A., de Lusignan, S., Poulimenos, S., Morris, S. … Hoe, J. (2017). Effectiveness of an intervention to facilitate prompt referral to memory clinics in the United Kingdom: Cluster randomised controlled trial. PLoS Medicine, 14(3). doi:10.1371/journal.pmed.1002252 . Orrell, M., Hoe, J., Charlesworth, G., Russell, I., Challis, D., Moniz-Cook, E. … Rehill, A. (2017). Support at Home: Interventions to Enhance Life in Dementia (SHIELD) – evidence, development and evaluation of complex interventions. Programme Grants for Applied Research, 5(5), pp. 1–184. doi:10.3310/pgfar05050 . Robertson, S., Cooper, C., Hoe, J., Hamilton, O., Stringer, A. and Livingston, G. (2017). Proxy rated quality of life of care home residents with dementia: a systematic review. International Psychogeriatrics pp. 1–13. doi:10.1017/S1041610216002167 . Hoe, J., Jesnick, L., Turner, R., Leavey, G. and Livingston, G. (2017). Caring for relatives with agitation at home: A qualitative study of positive coping strategies. BJPsych Open, 3(1), pp. 34–40. doi:10.1192/bjpo.bp.116.004069 . Charlesworth, G., Burnell, K., Crellin, N., Hoare, Z., Hoe, J., Knapp, M. … Orrell, M. (2016). Peer support and reminiscence therapy for people with dementia and their family carers: A factorial pragmatic randomised trial. Journal of Neurology, Neurosurgery and Psychiatry, 87(11), pp. 1218–1228. doi:10.1136/jnnp-2016-313736 . Robertson, S., Cooper, C., Hoe, J. and Livingston, G. (2016). A SYSTEMATIC REVIEW AND META-ANALYSIS COMPARING QUALITY-OF-LIFE RATINGS FROM FAMILY AND PAID CAREGIVERS OF PEOPLE WITH DEMENTIA RESIDING IN CARE HOMES. Alzheimer's & Dementia, 12(7). doi:10.1016/j.jalz.2016.06.2335 . Ledgerd, R., Hoe, J., Hoare, Z., Devine, M., Toot, S., Challis, D. … Orrell, M. (2016). Identifying the causes, prevention and management of crises in dementia. An online survey of stakeholders. International Journal of Geriatric Psychiatry, 31(6), pp. 638–647. doi:10.1002/gps.4371 . Burnell, K., Charlesworth, G., Feast, A.R., Hoe, J., Poland, F.M. and Orrell, M. (2016). Peer support interventions for family carers of adults with chronic mental or physical illness who are living at home. Cochrane Database of Systematic Reviews, 2016(5). doi:10.1002/14651858.CD010231.pub2 . Spector, A., Charlesworth, G., King, M., Lattimer, M., Sadek, S., Marston, L. … Orrell, M. (2015). Cognitive-behavioural therapy for anxiety in dementia: Pilot randomised controlled trial. British Journal of Psychiatry, 206(6), pp. 509–516. doi:10.1192/bjp.bp.113.140087 . Reilly, S., Miranda-Castillo, C., Malouf, R., Hoe, J., Toot, S., Challis, D. … Orrell, M. (2015). Case management approaches to home support for people with dementia. Cochrane Database of Systematic Reviews, 2017(6). doi:10.1002/14651858.CD008345.pub2 . D'Amico, F., Rehill, A., Knapp, M., Aguirre, E., Donovan, H., Hoare, Z. … Orrell, M. (2015). Maintenance Cognitive Stimulation Therapy: An Economic Evaluation Within a Randomized Controlled Trial. Journal of the American Medical Directors Association, 16(1), pp. 63–70. doi:10.1016/j.jamda.2014.10.020 . Livingston, G., Knapp, M., Julie, B., Cooper, C., Rapaport, P., Walker, Z. … Romeo, R. (2014). THE LONG-TERM CLINICAL EFFECTIVENESS OF START (STRATEGIES FOR RELATIVES) FOR FAMILY CARERS OF PEOPLE WITH DEMENTIA AND THE EFFECTS ON COST OF CARE. Alzheimer's & Dementia, 10(4). doi:10.1016/j.jalz.2014.07.115 . Orrell, M., Toot, S., Hoe, J. and Ledgerd, R. (2014). UNDERSTANDING AND MANAGING CRISES IN DEMENTIA. Alzheimer's & Dementia, 10(4). doi:10.1016/j.jalz.2014.05.1480 . Livingston, G., Barber, J., Rapaport, P., Knapp, M., Griffin, M., King, D. … Cooper, C. (2014). Long-term clinical and cost-effectiveness of psychological intervention for family carers of people with dementia: A single-blind, randomised, controlled trial. The Lancet Psychiatry, 1(7), pp. 539–548. doi:10.1016/S2215-0366(14)00073-X . Livingston, G., Barber, J., Rapaport, P., Knapp, M., Griffin, M., Romeo, R. … Cooper, C. (2014). START (STrAtegies for RelaTives) study: a pragmatic randomised controlled trial to determine the clinical effectiveness and cost-effectiveness of a manual-based coping strategy programme in promoting the mental health of carers of people with dementia. Health Technology Assessment, 18(61). doi:10.3310/hta18610 . Orrell, M., Aguirre, E., Spector, A., Hoare, Z., Woods, R.T., Streater, A. … Russell, I. (2014). Maintenance cognitive stimulation therapy for dementia: Single-blind, multicentre, pragmatic randomised controlled trial. British Journal of Psychiatry, 204(6), pp. 454–461. doi:10.1192/bjp.bp.113.137414 . Hoe, J., Cooper, C. and Livingston, G. (2013). An overview of the LASER-AD study: A longitudinal epidemiological study of people with Alzheimer's disease. International Review of Psychiatry, 25(6), pp. 659–672. doi:10.3109/09540261.2013.838152 . Charlesworth, G., Burnell, K., Hoe, J., Orrell, M. and Russell, I. (2013). Acceptance checklist for clinical effectiveness pilot trials: A systematic approach. BMC Medical Research Methodology, 13(1). doi:10.1186/1471-2288-13-78 . Toot, S., Hoe, J., Ledgerd, R., Burnell, K., Devine, M. and Orrell, M. (2013). Causes of crises and appropriate interventions: The views of people with dementia, carers and healthcare professionals. Aging and Mental Health, 17(3), pp. 328–335. doi:10.1080/13607863.2012.732037 . Aguirre, E., Hoare, Z., Streater, A., Spector, A., Woods, B., Hoe, J. … Orrell, M. (2013). Cognitive stimulation therapy (CST) for people with dementia-who benefits most? International Journal of Geriatric Psychiatry, 28(3), pp. 284–290. doi:10.1002/gps.3823 . Hoare, Z. and Hoe, J. (2013). Understanding quantitative research: part 2. Nursing standard (Royal College of Nursing (Great Britain) : 1987), 27(18). Livingston, G., Barber, J., Rapaport, P., Knapp, M., Griffin, M., King, D. … Cooper, C. (2013). Clinical effectiveness of a manual based coping strategy programme (START, STrAtegies for RelaTives) in promoting the mental health of carers of family members with dementia: pragmatic randomised controlled trial. BMJ (Clinical research ed. ), 347. doi:10.1136/bmj.f6276 . Knapp, M., King, D., Romeo, R., Schehl, B., Barber, J., Griffin, M. … Livingston, G. (2013). Cost effectiveness of a manual based coping strategy programme in promoting the mental health of family carers of people with dementia (the START (STrAtegies for RelaTives) study): a pragmatic randomised controlled trial. BMJ (Clinical research ed. ), 347. doi:10.1136/bmj.f6342 . Hoe, J. and Hoare, Z. (2012). Understanding quantitative research: part 1. Nursing Standard, 27(15), pp. 52–57. doi:10.7748/ns2012.12.27.15.52.c9485 . Spector, A., Orrell, M., Lattimer, M., Hoe, J., King, M., Harwood, K. … Charlesworth, G. (2012). Cognitive behavioural therapy (CBT) for anxiety in people with dementia: study protocol for a randomised controlled trial. Trials, 13. doi:10.1186/1745-6215-13-197 . Streater, A., Spector, A., Aguirre, E., Hoe, J., Hoare, Z., Woods, R. … Orrell, M. (2012). Maintenance Cognitive Stimulation Therapy (CST) in practice: Study protocol for a randomized controlled trial. Trials, 13. doi:10.1186/1745-6215-13-91 . Hoe, J. and Hoare, Z. (2012). Understanding quantitative research: part 1. Nursing standard (Royal College of Nursing (Great Britain) : 1987), 27(15-17). Charlesworth, G., Burnell, K., Beecham, J., Hoare, Z., Hoe, J., Wenborn, J. … Orrell, M. (2011). Peer support for family carers of people with dementia, alone or in combination with group reminiscence in a factorial design: Study protocol for a randomised controlled trial. Trials, 12. doi:10.1186/1745-6215-12-205 . Hoe, J. (2011). Review: Marte meo counselling: A promising tool to support positive interactions between residents with dementia and nurses in nursing homes. Journal of Research in Nursing, 16(5), pp. 434–436. doi:10.1177/1744987111414850 . Aguirre, E., Spector, A., Hoe, J., Streater, A., Woods, B., Russell, I. … Orrell, M. (2011). Development of an Evidence-based Extended Programme of Maintenance Cognitive Stimulation Therapy (CST) for People with Dementia) for People with Dementia. Non-pharmacological Therapies in Dementia Journals, 1(3), pp. 197–197. Hoe, J. and Thompson, R. (2010). Promoting positive approaches to dementia care in nursing. Nursing Standard, 25(4), pp. 47–56. doi:10.7748/ns2010.09.25.4.47.c8001 . Aguirre, E., Spector, A., Hoe, J., Russell, I.T., Knapp, M., Woods, R.T. … Orrell, M. (2010). Maintenance Cognitive Stimulation Therapy (CST) for dementia: A single-blind, multi-centre, randomized controlled trial of Maintenance CST vs. CST for dementia. Trials, 11. doi:10.1186/1745-6215-11-46 . Hoe, J. and Thompson, R. (2010). Promoting positive approaches to dementia care in nursing. Nursing standard (Royal College of Nursing (Great Britain) : 1987), 25(4). Hoe, J., Hancock, G., Livingston, G., Woods, B., Challis, D. and Orrell, M. (2009). Changes in the quality of life of people with dementia living in care homes. Alzheimer Disease and Associated Disorders, 23(3), pp. 285–290. doi:10.1097/WAD.0b013e318194fc1e . Orrell, M., Hancock, G.A., Liyanage, K.C.G., Woods, B., Challis, D. and Hoe, J. (2008). The needs of people with dementia in care homes: The perspectives of users, staff and family caregivers. International Psychogeriatrics, 20(5), pp. 941–951. doi:10.1017/S1041610208007266 . Orrell, M., Hancock, G., Hoe, J., Woods, B., Livingston, G. and Challis, D. (2007). A cluster randomised controlled trial to reduce the unmet needs of people with dementia living in residential care. International Journal of Geriatric Psychiatry, 22(11), pp. 1127–1134. doi:10.1002/gps.1801 . Hoe, J., Katona, C., Orrell, M. and Livingston, G. (2007). Quality of life in dementia: Care recipient and caregiver perceptions of quality of life in dementia: The LASER-AD study. International Journal of Geriatric Psychiatry, 22(10), pp. 1031–1036. doi:10.1002/gps.1786 . Hoe, J., Hancock, G., Livingston, G. and Orrell, M. (2006). Quality of life of people with dementia in residential care homes. British Journal of Psychiatry, 188(MAY), pp. 460–464. doi:10.1192/bjp.bp.104.007658 . Hoe, J., Ashaye, K. and Orrell, M. (2005). Don't seize the day hospital! Recent research on the effectiveness of day hospitals for older people with mental health problems. International Journal of Geriatric Psychiatry, 20(7), pp. 694–698. doi:10.1002/gps.1348 . Hoe, J., Katona, C., Roch, B. and Livingston, G. (2005). Use of the QOL-AD for measuring quality of life in people with severe dementia - The LASER-AD study. Age and Ageing, 34(2), pp. 130–135. doi:10.1093/ageing/afi030 . Reynolds, T., Thornicroft, G., Abas, M., Woods, B., Hoe, J., Leese, M. … Orrell, M. (2000). Camberwell Assessment of Need for the Elderly (CANE). Development, validity and reliability. British Journal of Psychiatry, 176(MAY), pp. 444–452. doi:10.1192/bjp.176.5.444 . Aging & Mental Health, Assistant Editor, Apr 2018 – present. ISRN Geriatrics and Advances in Nursing (open access online journals), Editorial Board Member. 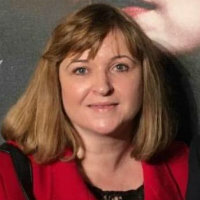 Reviewer for grants including: Health Research Board – Ireland, Health & Care Research Wales, NIHR Fellowship scheme, Big Lottery Fund (BIG) research programme, NIHR Health Technology Assessment Programme, NIHR Health Services Research programme, NIHR Clinical Evaluation and Trials programme, NIHR Research for Patient benefit., Peer reviewer. Reviewer of journal articles & books for peer review journals including: BMJ Group, British Journal of Psychiatry, Journal of Neurology, Neurosurgery & Psychiatry, International Journal of Geriatric Psychiatry, International Psychogeriatrics, Alzheimer Disease & Associated Disorders, Aging and Mental Health, European Journal of Neurology, Journal of Affective Disorders, Psychiatric Bulletin, BMC Geriatrics, BMC Nursing, Journal of Dementia care, Geriatric Nursing, Journal of Research in Nursing, Psychiatry Research, Advances in Nursing, Journal of Applied Gerontology, Quality in Ageing and Older Adults., Peer reviewer.